This guides applies to the laptop HP Pavilion ZV5000, Compaq Presario R3000 and all the laptop models which are listed in above product information. 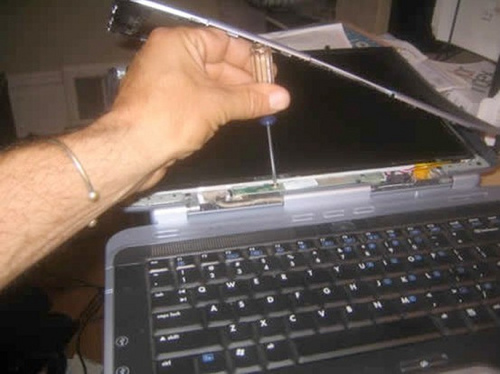 In this case, the laptop is HP Pavilion ZV5000. 1. Shut down the HP ZV5000. Disconnect all external devices connected to the notebook and the power cord. And remove the battery. 2. There are six rubber screw covers on the LCD screen bezel. You’ll have to remove all covers. You can remove covers with a sharp object. Remove six screws found under the rubber covers. 3. Take off the strip cover above the keyboard. 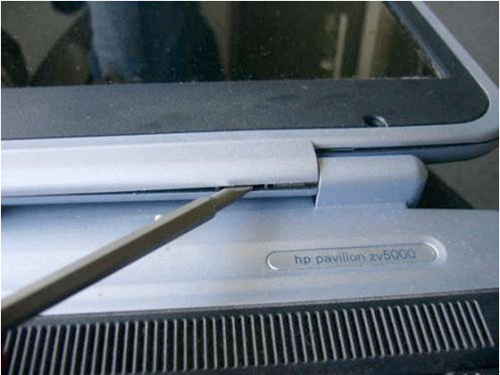 You can find details in the other guide of How to Replace HP Pavilion ZV5000, ZX5000 Keyboard. Removed the screws securing the display hinges/brackets to the computer. 4. Separate the screen bezel and display cover. Be careful, the bezel made of fragile plastic. Remove the screen bezel . 5. 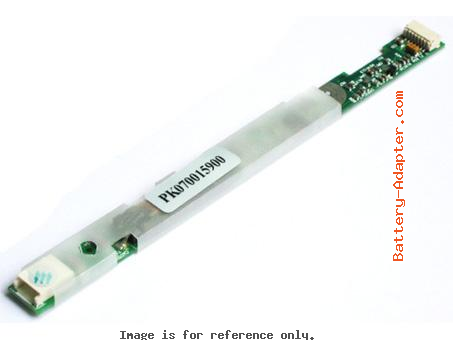 Now you can get an access to the screen inverter which is mounted below the screen. Remove one screw securing the inverter board.. Disconnect cables on both sides of the inverter board. Note: HP Pavilion ZV5000 Compaq Presario R3000 have two types, one is 15.4" LCD and the other one is for 15" LCD, so their inverters have two types. Please be careful to select correct replacement inverter.